Beautiful 700 sq ft 1 bedroom 1 bath suite available for rent in Westhills. Walk out suite with private entry and patio. Perfect for professional couples or students. NO PETS AND NO SMOKERS PLEASE (tobacco or cannabis). 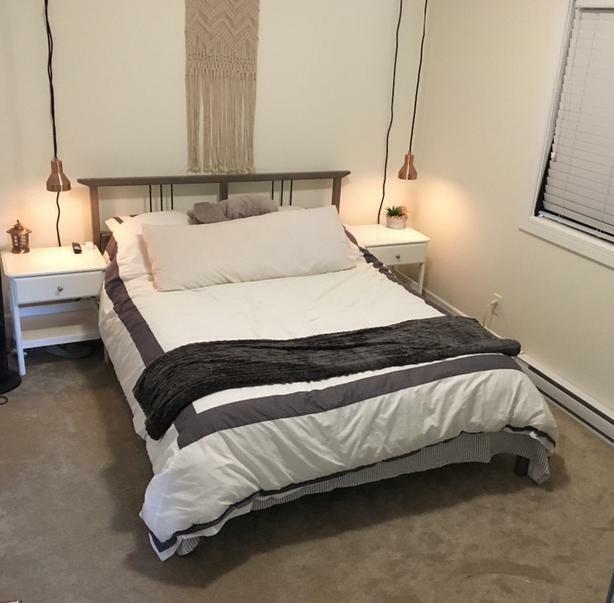 Location includes ample parking, several bus stops close by with buses that will take you directly downtown, the military docks, royal roads, UVic, and Camosun (both campuses). Located close to (5 min drive, 20-30 min walk) from the Westshore Mall, Cineplex, Restaurants, and Big Box Retailers. Just up the street from the newly built Langford YMCA complex, City Centre Park, Langford and Glenwood Lakes. Easy access to all major routes (to Nanaimo, Victoria, Sooke, and Metchosin). Students are welcome, and we are open to the possibility of a reduced rate while on summer break if suite is vacant. We are easy going no non-sense landlords and can provide tenant references, if needed; ONLY SERIOUS INQUIRES PLEASE. A 1 year lease is mandatory and required to be maintained (no month to month). We will be conducting Credit, Employment, Previous Landlords, and Criminal record checks. $1125 including all utilities (excluding internet/cable/phone).